The St. Louis Cardinals system went 4-2 on Wednesday. Player of the Day Dylan Carlson’s grand slam in 10th inning led first-place Palm Beach to a win. Recaps from games played on Wednesday, June 6. With clean pitching and just enough offensive support, the Redbirds enjoyed a 2-1 home victory over the Rainiers. 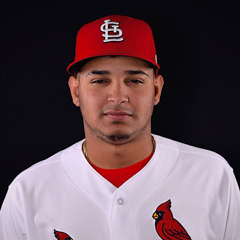 Third baseman Alex Mejia drove in both of the Redbirds’ runs on Wednesday, with a sacrifice fly in the first inning and a run-scoring single in the bottom of the fifth. First baseman Patrick Wisdom and right fielder Adolis Garcia each doubled and scored a run, accounting for both of Memphis’ extra-base hits. 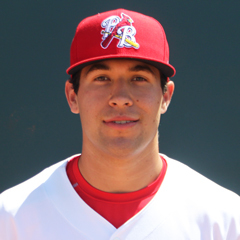 Redbirds starter Daniel Poncedeleon improved his record to 5-2 with the win. Despite walking six batters, Poncedeleon logged 5 1/3 innings of one-run ball. Preston Gilmartin and Edward Mujica each recorded four scoreless outs before Mike Mayers earned his third save of the season with a shut-down ninth. Thursday’s game: Dakota Hudson (6-2, 2.69) vs. Tacoma Rainiers, 7:05 PM Central time. The Naturals scored six unanswered runs from the fourth inning on to defeat the Cardinals by an 8-6 final score on Wednesday. Mike O’Reilly pitched four innings in his return to the Cardinals and surrendered as many runs. Ramon Santos allowed two runs in the sixth inning before Jacob Evans yielded the deciding pair of runs in the seventh. Evans dropped to 0-4 on the year. 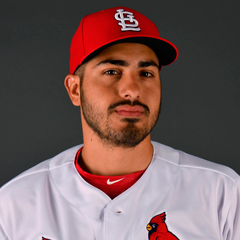 Cardinals first baseman Chris Chinea was 2-for-4 with three runs batted in, via his sixth home run of the season in the third inning. Chinea and left fielder Victor Roache scored two runs apiece, and catcher Jeremy Martinez and center fielder Lane Thomas each had two base hits. Thursday’s game: Connor Jones (3-2, 4.50) at Northwest Arkansas Naturals, 7:05 PM Central time. With the score knotted at five, a grand slam in the top of the 10th inning made the Cardinals 9-5 road winners over the Miracle on Wednesday. With two outs and the bases loaded, Palm Beach right fielder Dylan Carlson, our Player of the Day, launched a home run to right field to cap off his 2-for-4 night. Designated hitter J.B. Woodman had four base hits, and first baseman Ryan McCarvel and third baseman Taylor Bryant each went 3-for-5; McCarvel scored a run, and Woodman and Bryant both had one RBI. Starter and May system-wide Pitcher of the Month Austin Warner had a shaky outing. In five innings, Warner allowed four earned runs on five hits and five walks. Outside of a run the Miracle scored against John Kilichowski in the sixth, the Cardinals’ bullpen cast of Robbie Gordon, Jacob Patterson, and Will Latcham was for the duration. Patterson picked up the win and improved to 3-3. Thursday’s game: Ian Oxnevad (3-5, 5.84) at Fort Myers Miracle, 6:00 PM Central time. Kane County’s offense produced plenty of runs in Wednesday’s 7-1 win over the Chiefs. Jesus Cruz suffered the loss in his starting debut with three runs allowed in his two-inning outing. 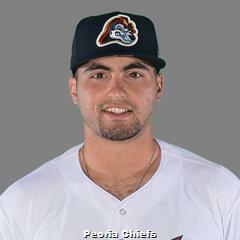 Normally a starter, Alvaro Seijas sparred the pitching staff with five innings of two-run ball in relief of Cruz. In the bottom of the eighth, the Cougars scored a pair of runs against Fabian Blanco. The Chiefs had 11 hits, just three fewer than the Cougars’ 14 hits used to score seven runs. All but one starter in Peoria’s lineup had a base hit; first baseman Zach Kirtley had two and right fielder Scott Hurst had three, but Peoria could not put them together. Collectively, the Chiefs were 2-for-10 with runners in scoring position and stranded nine. Thursday’s game: Paul Balestrieri (1-2, 6.92) at Kane County Cougars, 6:30 PM Central time. The Cardinals Blue ended on top of Wednesday’s slug-fest, 13-10, over the Phillies Red. There were several offensive stars in this contest for the Cardinals, including shortstop Darlyn Del Villar and third baseman Yowelfy Rosario. Del Villar and Rosario were both 3-for-5 with two runs batted in; Del Villar had two doubles and two runs scored, and Rosario had one double and one run. Center fielder Darlin Moquete and catcher Luis Rodriguez each scored three runs, and designated hitter Carlos Soler was 3-for-6 with two runs scored and one run batted in. Although they scored 13 runs, the Cardinals were only 9-for-27 with runners in scoring position. Inohan Paniagua recorded the first two outs of the game and allowed three runs – one earned. Anthony Trompiz followed with 3 1/3 innings of three-run ball, with two tallies earned, before Josue Ramirez had the same line in one inning. Derek Diaz picked up the win after his three scoreless innings. DIonys Rodriguez recorded the final three outs of the ninth and earned his first save. Thursday’s game: at DSL Angels, 9:30 AM Central time. Primarily fueled by five runs in the first inning and seven in the sixth, the Cardinals enjoyed a 15-11 victory over the Phillies White on Wednesday. Four players stood out at the plate. Catcher Joyser Garcia had two base hits and three runs batted in; shortstop Franklin Soto was 4-for-6 with a double, two runs scored, and two RBI; second baseman Elvin DeJesus had three hits – including a triple – and scored and plated a run; right fielder Luis Montano went 3-for-4 with four runs scored and two runs driven in. Starter Ronald Suarez turned in three innings of two-run ball. Angel Cuenca earned the win, his first as a professional, with three scoreless innings out of the bullpen. Augusto Calderon logged an inning and allowed three runs, and Gabriel Contreras surrendered six earned runs and recorded just two outs. Wilman Madera collected the final four outs of the contest in a scoreless manner to preserve the win. Thursday’s game: vs. DSL Mets 2, 9:30 AM Central time.